Today I revisit my little tropical collection to plan for the summer design work. I will be doing a demo in July and need to get these trees planned for that period. Descriptions are on the tree photos. If you notice a white material on the leaves; that is from the high mineral content of San Jose, CA water. I use leaf bright to clean that off. Since these will go to demo that work will be done during that time. 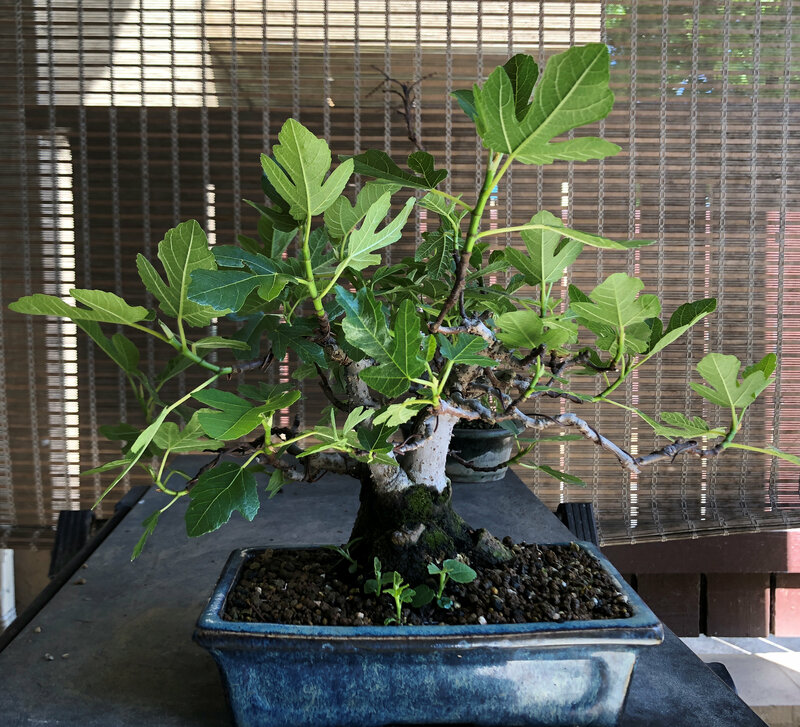 Ficus on Ginseng graft. These are sometime very difficult to manage but I have been able to keep the ginseng root section under control and develop the upper canopy. This year the center will be opened up to get more of a designed top. 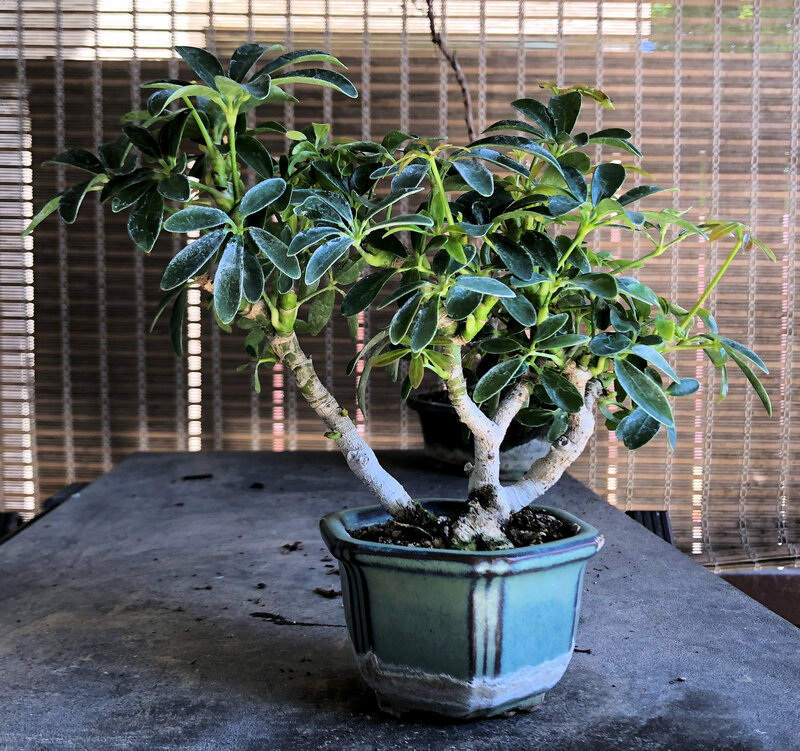 Schefflera triple trunk is a new tree from a cutting 3 years ago. Notice the leaf size. Leaf reduction has been incredible on this cutting as they tend not to resort to the large original leaves. These trunks will be moved soon to open up the top of the tree. Still working on ramification of branches. 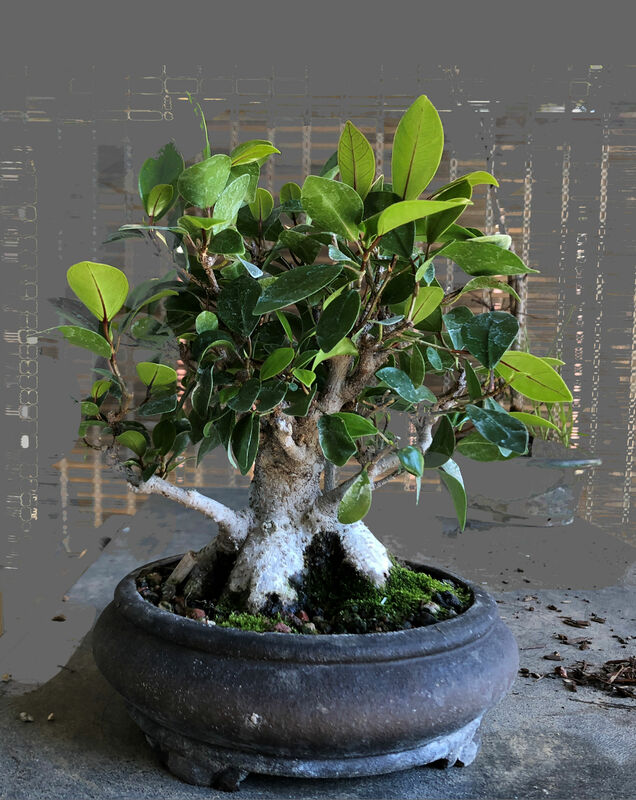 Ficus Microcarpa has been in training as a shohin bonsai for many years now. Since it is just getting warm outside the leaf growth is a bit big but those will be removed to create a smaller tighter canopy. 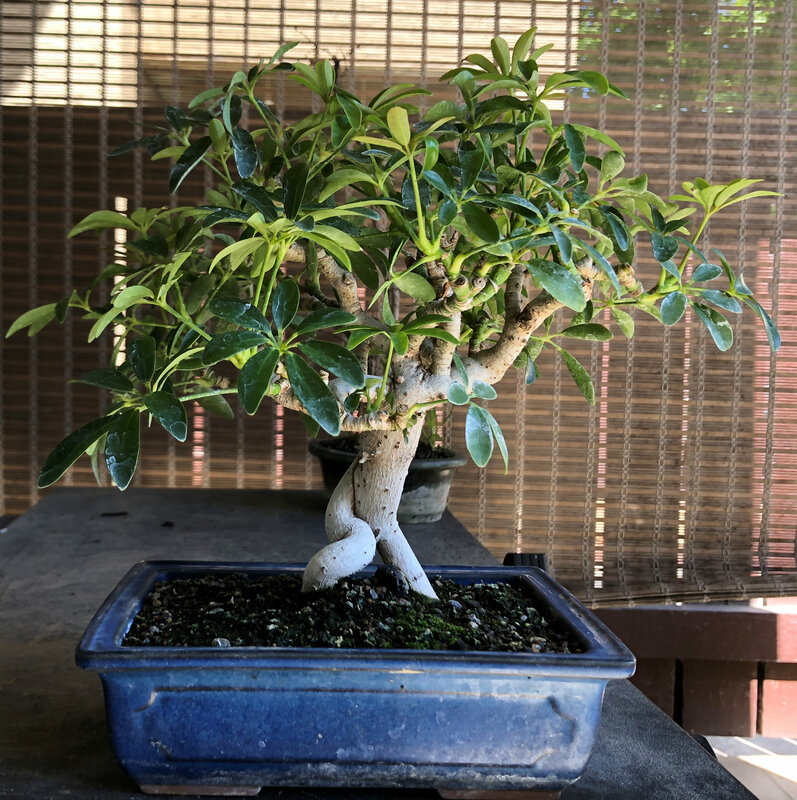 Schefflera bonsai, this was originally a cutting from a hardware store, It has now developed a nice compact trunk and leaf size reduction has gone very well. This year it will get some tie-downs to open up the canopy. Western Fig. In development for over 20 years. 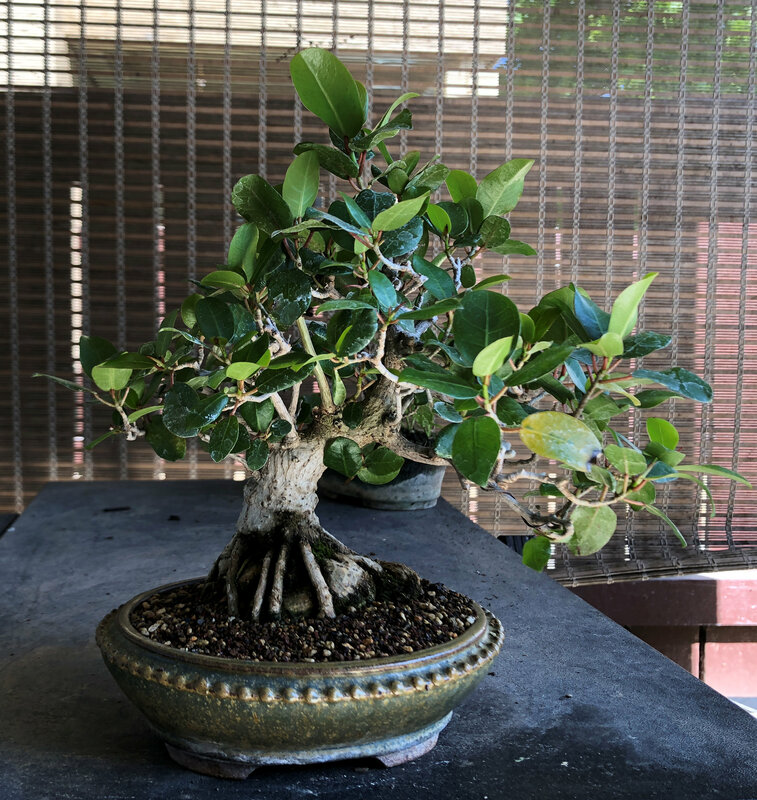 Original owner grew this as as standard size bonsai but it did not develop well. 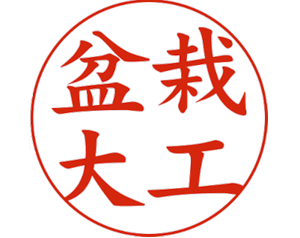 I have been developing it as a shohin bonsai for 10 years. It was re-potted this year and is being allowed tg grow.